West Indies, courtesy Keemo Paul's 5/15 and Evin Lewis' 36-ball 89, cruised to a 50-run win against Bangladesh in the third T20I in Mirpur to clinch the three-match series 2-1. Chasing a stiff target of 191, the home team were bundled out for 140 with three overs to spare. The left-handed Lewis was in belligerent mood and smashed six fours and eight sixes, including four sixes of Abu Hider’s second over, before being dismissed by Mahmudullah Riyad. Shakib castled Hope for 23, and Mustafizur dismissed Keemo Paul (2) in quick succession as Lewis continued his carnage and completed his half-century off just 18 deliveries. Mahmudullah then bowled Lewis before he trapped Shimron Hetmyer leg-before for a duck to slow down the Windies charge. Mahmudullah, who finished with 3/18, also accounted for Rovman Powell (19) as the visitors were five down halfway through their 20 overs. Nicholas Pooran then added 29 off 24 balls down the order but Bangladesh did well in the final stages to contain the tourists. The Windies were 176/5 after 16 overs but lost their last five wickets for just 14 runs and folded in 19.2 overs. Mustafizur and Shakib with three wickets apiece spearheaded the fightback to ensure the Windies did not cross the 200-run mark. Bangladesh began their chase at brisk pace as Liton Das led the charge but his opening partner Tamim Iqbal (8) was run-out. The Windies struck again with the wicket of Soumya Sarkar for just 9. Skipper Shakib-Al-Hasan fell off the next ball reducing the home team to 65/3. The high-voltage match witnessed some on-field drama when Oshane Thomas was controversially denied the wicket of Liton Das off the final ball of the fourth over when his delivery was ruled a no-ball. Das was caught at mid-off but after replays showed that the Thomas’ delivery was legal. Captain Carlos Brathwaite took up the matter with the umpires. Tanvir Ahmed, the umpire in question consulted Masadur Rahman and the third umpire, and changed his decision more than once before match referee Jeff Crowe helped calmed matters down and the Windies had to accept what was an inaccurate decision. Keemo Paul then bagged the wickets Mushfiqur Rahim (1) and Mahmudullah (11) to reduce Bangladesh to 80/5 in less than eight overs. Paul, who finished with figures of 5/15 in his four overs, continued to torment the Bangladesh and picked up the big wicket of Liton Das (43), and then of Ariful Haque (0) off consecutive deliveries before Mohammad Saifuddin’s (5) edge to Shai Hope became his fifth wicket. From 96/8, the game was virtually over though Mehidy Hasan Miraz (19) and Abu Hider (22*) put on 35, to attempt a late resistance. 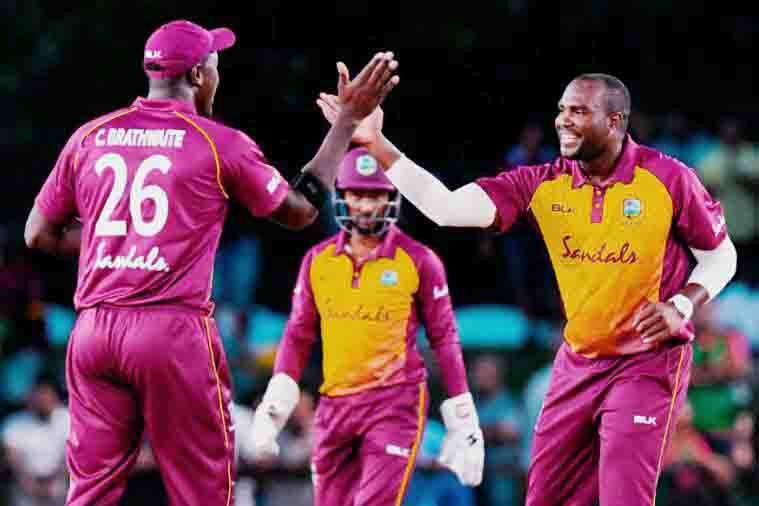 It made no difference to the eventual outcome as the Windies put the seal on an emphatic 50-run win when captain Brathwaite dismissed Mustafizur (8) to bowl the hosts out for 140 in the 17th over. #BANvWI WICKET! Carlos Brathwaite gives the final blow - cleans up Mustafizur Rahman. Bangladesh all out for 140. Windies win by 50 runs and win T20I series 2-1. Bangladesh vs West Indies 3rd T20 BD Time: Today 5:00 pm. Two teams in the three-match T20 series 1-1. So today's match is an undeclared final. The team that will win today will win the series. InshaAllah, I hope Bangladesh will win. Best wishes for Team Bangladesh ..